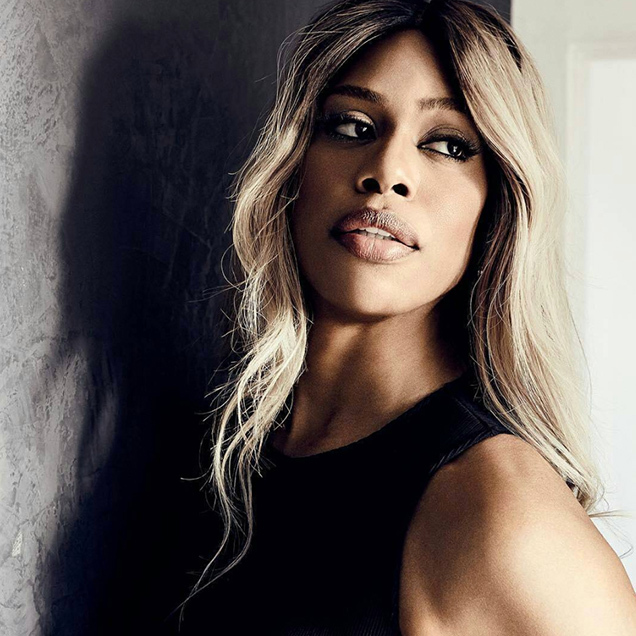 Each year, GLAAD — the organization dedicated to furthering fair, accurate and diverse representation of the LGBTQ community in the media — does for inclusion on TV what we do for inclusion on the runways. They crunch the numbers. This year, much like our fashion world findings, GLAAD’s Where We Are on TV report yielded encouraging stats. Ladies and gentleman, TV has officially come out of the closet. The report tallies the expected presence of lesbian, gay, bisexual, transgender and queer characters for the 2016-2017 television season across cable, digital and streaming platforms. In the coming season, TV will see more queer characters than ever before. 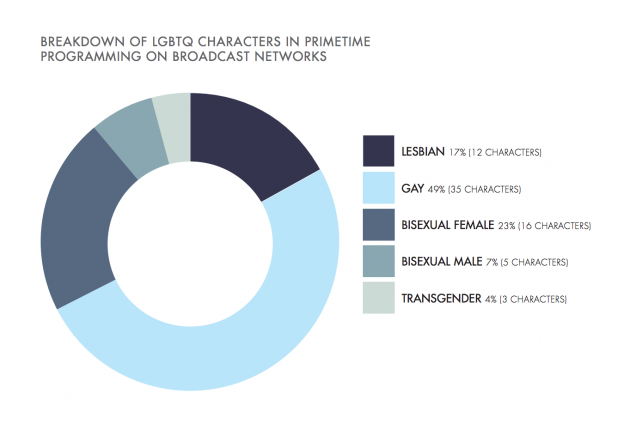 Of the 895 regular roles on broadcast television, 43 (4.8 percent) will identify as LGBTQ. An additional 28 LGBTQ characters will appear in recurring roles. 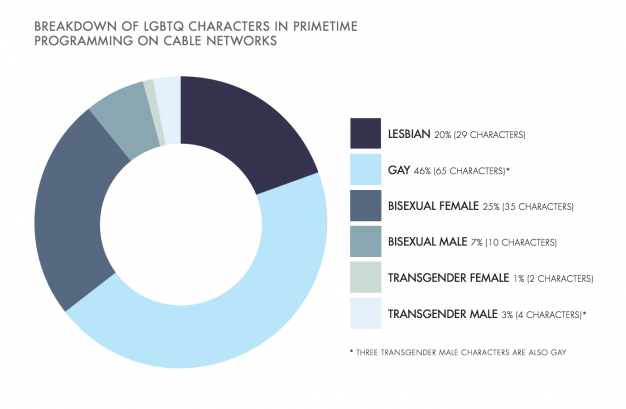 Cable networks will feature 142 LGBTQ characters — nearly five times as many as broadcast TV (unsurprising, given that cable is generally less concerned with the palates of the masses or the FCC). Comparatively, Hulu, Amazon and Netflix’s original programming will feature only 65 LGBTQ series regulars (up from 59 last year). 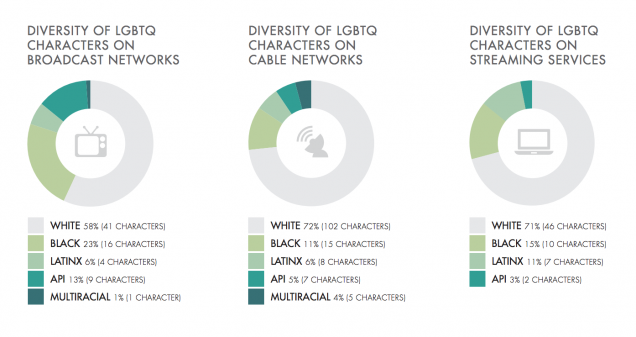 The report drags both cable and streaming services for their lack of racially diverse LGBTQ characters: “an overwhelming majority of LGBTQ characters on each platform are counted as white.” On cable, 72 percent of LGBTQ characters are white, a 1 percent increase from the previous year. Similarly, 71 percent of Hulu, Amazon and Netflix’s LGBTQ population is white. That said, on broadcast TV, overall racial diversity has improved slightly, with 36 percent of 895 central characters being people of color, a three-point increase from the previous year. Meanwhile, the number of black series regulars appearing on primetime TV is now at 20 percent, the highest number GLAAD’s seen in its twelve years of data crunching. Women — lesbian, bisexual and cis — continue to be underrepresented on broadcast and cable networks, although slight progress has been made. Women account for only 44 percent of central characters on primetime broadcast, a measly 1 percent increase from last year. The number of regular and recurring female bisexual characters is down on both cable and broadcast platforms. Conversely, lesbians make up the majority of LGBTQ representation on streaming channels (48 percent), a seven-point bump from last year. Encouragingly, transgender representation is getting stronger — there are now three trans characters on broadcast (all played by transgender actresses, another milestone), six on cable, seven on streaming services. (And those figures don’t take into account non-scripted shows like Strut.) In addition, occupying 1.7 percent of regular broadcast roles, the disabled community is better represented than ever before (though that’s not saying much). Of the broadcast networks, GLAAD shouts out ABC as the most LGBTQ-inclusive, with 7.3 percent LGBTQ series regulars. As far as platforms go, Amazon also gets a nod, thanks in large part to Transparent, the most trans-inclusive series airing on broadcast, streaming or cable. 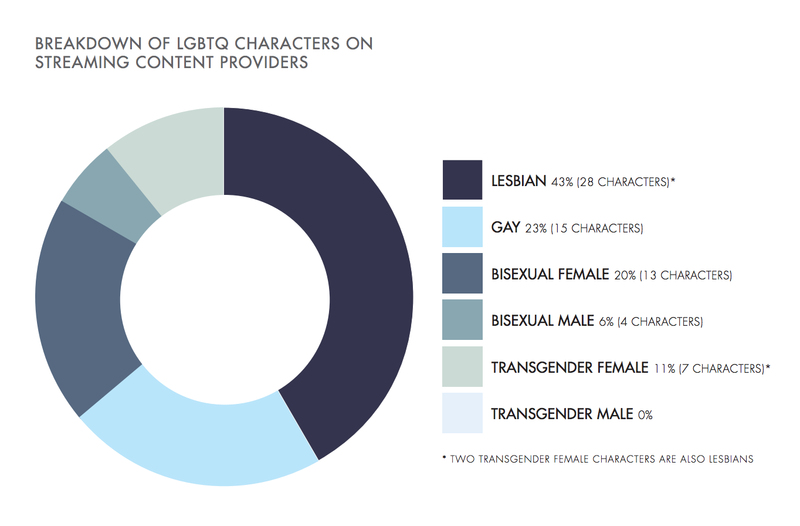 Additionally, fourteen (29 percent) of Amazon’s LGBTQ central characters have a disability, setting the network ahead of the curve. 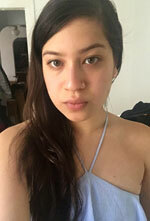 All in all, entertainment media, like the fashion industry, is still a long way away from equality — a fact that’s quantified in GLAAD’s findings, in the amount female actresses are (or rather, aren’t) paid and in the number of transgender actors and actresses you can name off the top of your head. Still, these figures leave us (tentatively) optimistic for a future in which our screens better reflect reality.